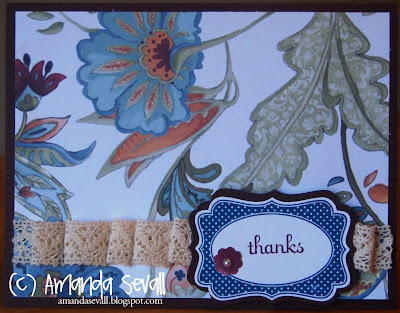 Amanda Sevall Designs: Card: Paisley Prints Thanks... another version! Darn rain has made this card look a little darker than it is in real life! I must say, I love this particular stamp set and patterned paper! It will be in the new main catalog in July, but you can get it now as part of this month's promotion!